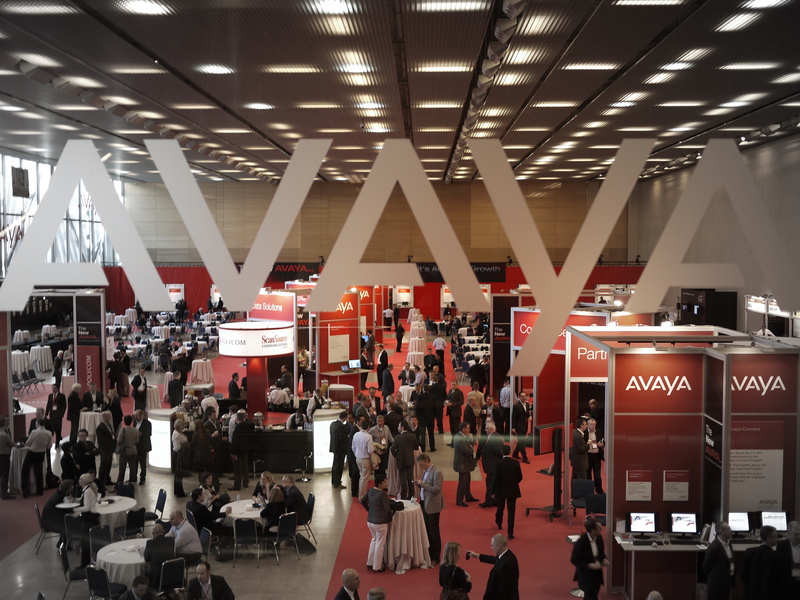 I’ve just returned from Avaya‘s partner conference in Barcelona*, the annual get together for the telecoms vendor and high ranking members of its EMEA supply chain. I don’t, as a general rule, go along to these things often as it’s a long time out of the office, and it’s rarer that I blog about them. But it is good to go along every once in a while too meet old contacts and discover new ones. I also find that when you have a group of senior execs together they tend to be more, rather than less, open about what goes on inside a company. I’ve never been to Barcelona before, and the CCIB conference centre is not, I imagine, particularly representative of the rest of the city. Less Gaudi, more gaudy, and ever so slightly souless at this time of year when it’s cold and there’s no-one in the streets. Lots of tall hotels and big concrete plazas, not many old churches down here. I’m writing up a couple of features about the conference for Comms Dealer, which I’ll link to once they’re done, but there was an interesting message that the company was keen to convey that I think is appropriate for this place. First – a bit of background. Avaya is an old-school telecoms company, which was spun out of AT&T via Lucent a decade ago and sells an enormous number of phones and phone systems into small businesses. Last year, it bought Nortel, another company with its roots in Bell, but which was more concerned with large scale corporate communications and networking. Nortel was the kind of company which gets called in to cable up the Olympic games, for example. Joining the two companies up – ‘integrating’ in borg-speak – hasn’t been easy, but it’s generally accepted that Avaya has dealt with the complications pretty well. Knowing, for example, when and where to drop a product line from one company which is essentially a competitor for a product from the other company without upsetting existing customers is very much an art rather than a science. Mistakes have and will be made, but some leeway is allowed. 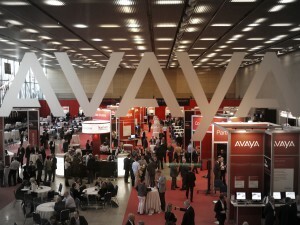 This process is coming to an end for Avaya, though, and it’s keen to move on. And in order to do that, the message it gave to its partners in Barcelona is one that will be familiar to anyone who’s read Wikinomics or Adam Westbrook‘s Next Generation Journalist writings. Specialise, innovate, differentiate was the mantra. Learn your market and your customers well, become an expert in a small field, don’t sell a broad range of product just because you can. The argument which sounded very familiar to me was that it’s the innovative companies that are successful. Innovation drives growth, partners were told. The question posed was: you can walk up to a CIO and offer to cut their costs, or demonstrate that you understand their business and caan transform it to make it more effective while still cutting costs – which approach do you think will win the contract? I think this advice and example cuts across all fields at the moment. Whether it’s business, journalism, interational development… it’s the same argument that crops up time and again. I’m also the worst offender for not taking the advice – I often have a scattergun approach to projects I’ll take on driven by personal interest rather than a desire to develop a niche. But hearing the same advice I’ve heard from journalists and photographers I admire greatly in the formal world of a business conference does make me wonder if I should rethink. *In the interests of disclosure Avaya covered the cost of transport and accomodation.